Important annual Azerbaijan International Tourism and Travel Fair, AITF 2018 was held from 5 to 7 April in Baku Expo Center. The 17th exhibition once again gathered representatives of tourism business, national and regional tourism organisations, government structures and media on one platform that reflect the dynamics of incoming and outgoing tourism in the region. The exhibition was preceded by a press conference and was attended by was attended by Mr. Aydin Ismiyev – Head of Tourism Department of the Ministry of Culture and Tourism of the Republic of Azerbaijan, Mr. Edward Strachan – Regional Director of ITE Group, Ms. Jamila Guliyeva – Project manager and Ms. Nazrin Shamkhalova – Event Manager. 41 media representatives attended the press-conference from APA, ARB TV, Azertag, AzTv, CBC, ITV, 1news, Ses TV, TREND, Sputnik and others. President of the Republic of Azerbaijan Mr. Ilham Aliyev, first lady Mrs. Mehriban Aliyeva and vice-president of the Heydar Aliyev Foundation Mrs. Leyla Aliyeva have viewed AITF 2018. The official opening ceremony was attended by Mr. Abulfas Garayev, Minister of Culture and Tourism of the Republic of Azerbaijan, Mr. Zurab Pololikashvili, Secretary General, World Tourism Organization, and Mrs. Irena Georgiyeva, Deputy Minister of Tourism of the Republic of Bulgaria, Mrs. Rabiyat Zakarova, Minister of Tourism, Ministry of Popular Art and Crafts of Dagestan Republic, Mr. Nahid Bagirov, Chairman of the Board of Azerbaijan Tourism Assosiation (AzTA) and Mr. Edward Strachan – Regional Director of ITE Group. Speaking at the opening of the exhibition, Mr. Abulfas Garayev emphasized that the exhibition once again took a worthy place in the global calendar of tourism events. Mr. Zurab Pololikashvili noted the growing attractive role of Azerbaijan as an international tour operator, which is reflected as a worthy exposition of this exhibition. Mrs. Irena Georgieva expressed het satisfaction with both business and friendly relations between Bulgaria and Azerbaijan, and added that against the background of these relations, AITF 2018 offers new opportunities for expanding partnership in the sphere of tourism. Mr. Edward Strachan led impressive statistics on the exhibition and thanked the Ministry of Culture and Tourism of Azerbaijan, the WTO and other line organizations for their support to the project. WHOLE WORLD. ONE EXHIBITION was the apt motto of the AITF exhibition which welcomed 277 companies and organisations from 20 countries worldwide. 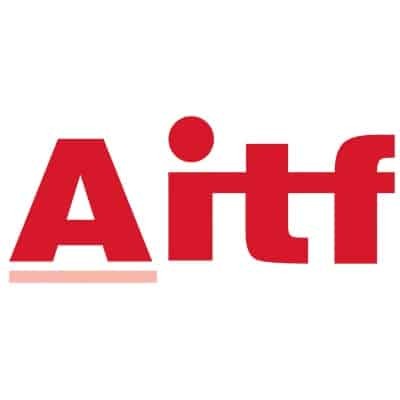 AITF debutants made up 31% of the total number of participants in 2018. The country-partner of AITF 2018 was Bulgaria, which annually took part in the exhibition with a national stand. This year’s exhibitors presented more than 90 destinations and other tourist services. The active participation of countries has become a calling card of AITF; in total, this year’s exhibition welcomed 13 national and regional expositions from Azerbaijan, Georgia, the Dominican Republic, Italy, Morocco, Thailand, Turkey, the Czech Republic, Dagestan (Russia), Rogaški Slatina (Slovenia) and the Stavropol Territory (Russia). AITF 2018’s debutant is East Java (Indonesia). At the national and regional stands, representatives of health resorts, sanatoriums, tourism companies, hotels and hotel chains offered their services. The AITF exhibition mirrors the development of Azerbaijan’s domestic tourism. Annually the exhibition announces new opportunities which are offered, as tourist destinations, to foreigners. The Action Plan for the development of culture and tourism in Azerbaijan was available at the stand of the Ministry of Culture and Tourism of the Republic of Azerbaijan, a permanent exhibitor. This year Azerbaijan Tourism Association (AZTA) presented a wide range of inbound and outbound tourism opportunities at its stand which gathered about 20 tour operators, hotels and sanatoriums from Azerbaijan. It is hard to recognize any country in the world without being familiar with its traditions and unique nature of regions. Therefore, the regional tourism centres of Azerbaijan always participate with bright and diverse expositions. The regional tourist offices of Ganja, Ismayilli, Khachmas, Lenkoran, Masalli, Sheki and Sumgait were presented this year. Traditionally, the exhibition presented the stand of the Karabakh region, which acquainted the visitors with its cultural and historical heritage. The second time ASAN Visa, an electronic visa portal participated at the exhibition, where it was possible to learn about all the subtleties and advantages of obtaining an electronic Azerbaijani visa. The development of tourism in the historical centre of Baku, the Old City “Icherisheher”, was demonstrated by the Administration of State Historical-Architectural Reserve “Icherisheher” under the Cabinet of Ministers of the Republic of Azerbaijan. Baku Shopping Festival also participated in the exhibition which has already gained wide popularity beyond the territory of Azerbaijan. On their stand the visitors could get information about the participation in Festival. At the exhibition the visitors could get acquainted with the local tour operators “Ulduz Tourism” and “Pasha Travel”, the company “Zadagan” that offered textile products manufactured with a national approach, as well as the hotels chains Absheron Hotels Group, Gilan Hospitality, Ulu Hospitality and many others. Azerbaijani tourists often choose to combine their holidays with medical treatment procedures in sanatoriums or health resorts around the world, where they can receive high-quality health and cosmetology services. Therefore, the exposition is being developed to attract new participants. In line with the current market trends, the exhibition actively develops the Medical and Health Tourism Sector, and the number of participants representing this sector is increasing from year to year. This year, more than 40 medical centres, clinics, health resorts and sanatoriums from the Czech Republic, Russia, Slovenia, Turkey, Ukraine and other countries took part in the medical tourism sector. Participants demonstrated a list of services that allow them to combine rest abroad with obtaining highly qualified medical care. For the third year in a row, B2B meetings between foreign exhibitors and local travel companies were held as part of AITF. These B2B meetings allowed participants to meet not only at the stand, but also to talked with their fellow tour operators face to face and to exchange experiences in specially dedicated areas. The exhibition participants also did not miss the opportunity to talk about new destinations and their promotion in the market; the National Tourism Agency of Italy has organised an interesting presentation for representatives of the tourism industry under the name “Italian Kaleidoscope” and played the tours to Italy and the Czech company “In Travel” conducted presentation on the resorts of the Czech Republic. On the third day of exhibition was organised the Travel Mood Festival. Representatives of the participating countries were form part of this event. The central stage was used by the dancing and music groups from different regions and countries. Moreover, a specially dedicated area, “My next tourist destination is …”, was available in the foyer of Baku Expo Centre during the exhibition days; here, visitors could take memorable photos with those participating cities or countries they would like to visit in the future. Also in the foyer was organised the stand of the Center for Simplified Support for Family Business (ABAD), where were presented products of the Center’s masters. Also in the foyer were unique handmade products of Sandiqca brand. Each product of this brand (accessories, kerchiefs, baskets and much more) reflected the cultural heritage of Azerbaijan. The organisers of the AITF exhibition have initiated the project “Because we care!” which brought together handicraft masters who had transformed their hobby into a business. At a dedicated stand, which was located around a symbolic fruit tree in the foyer of Baku Expo Centre, eight needlewomen showcased their unique knickknacks and accessories – natural handmade soaps and organic cosmetics, children’s textiles and bed cloths, knitted bags and coffee topiary, polymeric modelling, accessories and interior compositions, textile dolls and ponies, wood furniture for dolls, soft educational books, tablets and much more. This year the organisers have started to cooperate with the network of kindergartens Bagcam.az. Children’s Playground was located in the foyer of Baku Expo Center. Here professional educators and teachers from Bagcam.az took care of your children and entertained them with educational games, as well as various useful and exciting activities. Thus, within three days the exhibition demonstrated a wide range of tourism services, airlines, national and regional tourist organisations and hotel chains. This year the exhibition was visited by 5,437 people. AITF and HOREX Caucasus are supported by the Ministry of Culture and Tourism of the Republic of Azerbaijan, Azerbaijan Export and Investment Promotion Foundation (AZPROMO) and National Confederation of The Entrepreneurs (Employers) Organizations of Azerbaijan Republic (AEC). The AITF exhibition is also supported by the regular participant Azerbaijan Tourism Association (AZTA) and receives endorsement from international bodies such as the World Tourism Organisation (UNWTO) and the Pacific Asia Travel Association (PATA). AITF is recognised by UFI (the global association of the exhibition industry). AITF is organised by Iteca Caspian and its British partner, ITE Group. In 2019 the AITF exhibition will be held on 04-06 April in Baku Expo Center. “Hotel and resort complex “Karpaty” is a permanent participant of this exhibition in Baku, and it is not fortuitous! Among foreign tourists, Azerbaijani citizens occupy the first place in Truskavets. I think a big role in this was played by this exhibition, during which many people learned about our resort town and sanatorium, and we established contacts with the travel agencies of Azerbaijan. We are going to continue our participation at the AITF exhibition, since it is very important that tourists from Azerbaijan come to Truskavets and visit our sanatorium”. “We publish this edition every year at our stand within the framework of the AITF exhibition. The exhibition is extremely useful for all spheres of activity – tourism, art, culture, media, etc. For us, this event is a real catch! We can draw inspiration and new topics for our publications here. It is very important to be constantly in the information space so as not to lose contact with the society, subscribers and keep your hand on the pulse of time”.